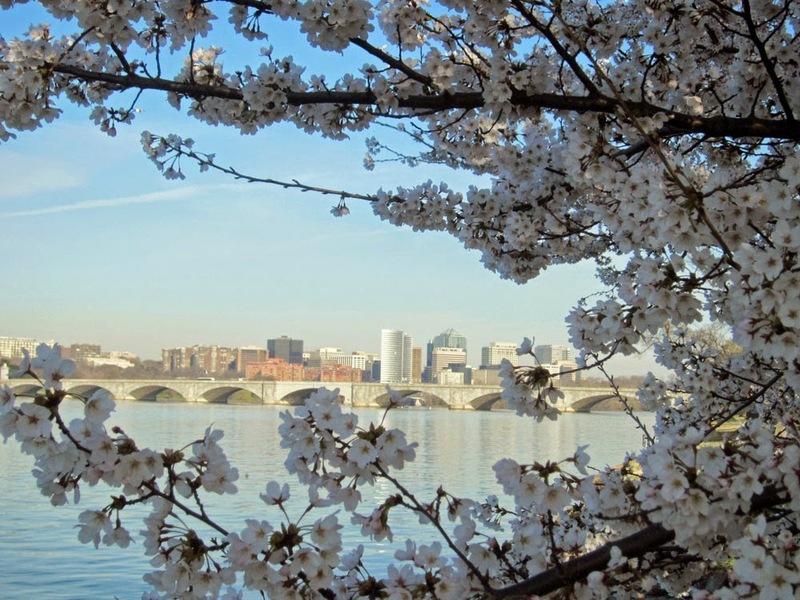 Thousands of visitors to the National Cherry Blossom Festival enjoyed blossom-draped vistas of Rosslyn today. The new 1812 N. Moore St. tower was an eagerly anticipated addition to the skyline. "It's bigger than the Washington Monument," said one viewer. "Look at the way it thrusts into the sky!" 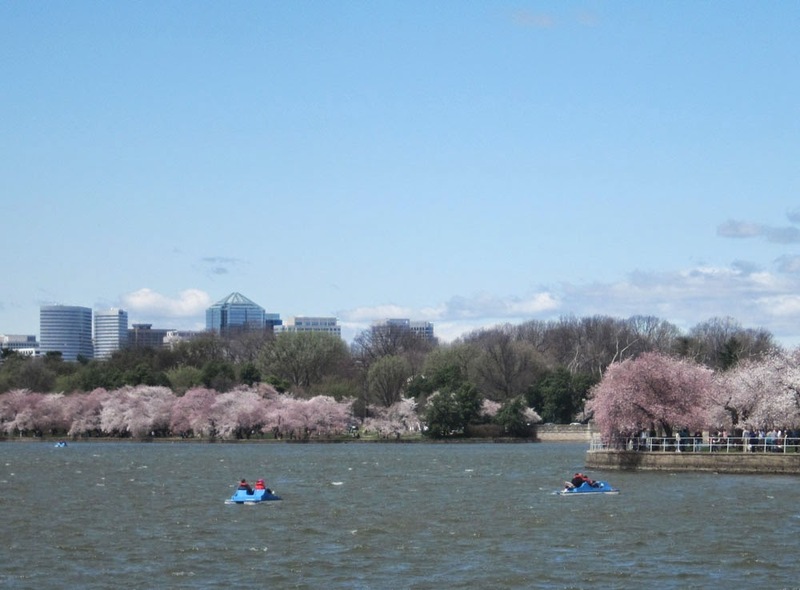 Some viewers paddled out into the tidal basin to get a better view of the Rosslyn skyline underlined with cherry blossoms.